The Natural Choice is Northeast exterminators. 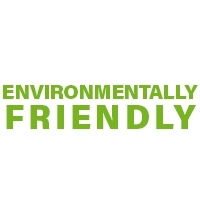 Our team is committed to providing safe and environmentally conscious options to tackle even the toughest pest problems. We practice Integrated Pest Management; or IPM, which often includes non-chemical approaches to Pest Control. Northeast’s “green” approach is effective – Northeast pest Control uses inspection, monitoring and proper identification to determine the root cause of pest problems to find a solution. Everyone can benefit from a green approach. Residential customers and commercial facilities including “green buildings” will appreciate an emphasis on long-term solutions that reduce both pest complaints and pesticide use. By carefully inspecting and sealing gaps and holes in the exterior of structures, pest complaints can be reduced by as much as 60%. A strong focus on training also sets Northeast apart from our competition. We hold training sessions that include sessions on pest biology, safe treatment methods, & the latest non-chemical approaches to solving pest problems. Strictly Organic (includes treatment plans that have a non-chemical approach using strictly natural products). These products come from 100% natural ingredients that have been tested and determined effective in repelling and controlling pests. For more information on some of the safe, effective, & natural solutions we provide for your home or business Call Northeast Exterminators today, 215-DEAD-BUG.